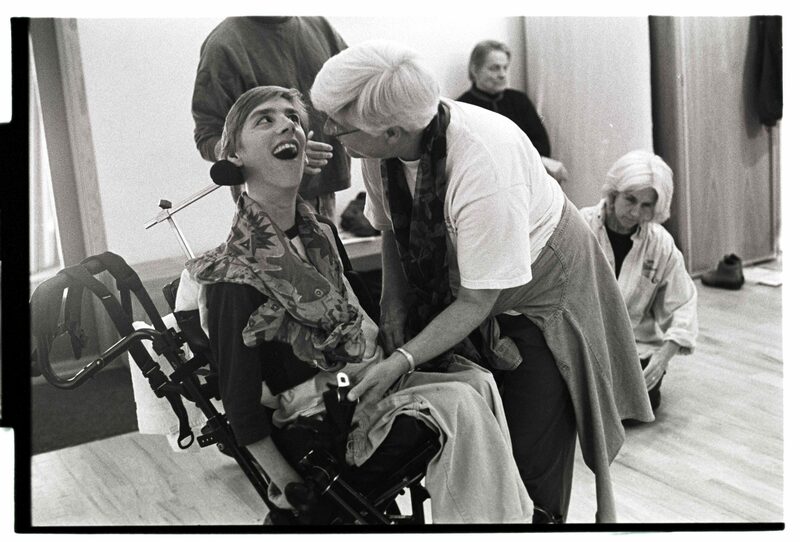 A New Kind of Listening is an award winning documentary that takes us inside the creative work of the Community Inclusive Theater Group, as director Richard Reho inspires cast members, some with disabilities, to be writers, actors and dancers in an original collaborative performance. Together they prove that a small community arts project has the power to transform lives. The film follows the work of an experimental theater group that includes people who are non-speaking related to significant disabilities. The group meets weekly for a year; together they create an original and compelling performance piece. The film also tells the story of one member’s intense life-long struggle to communicate. A New Kind of Listening is a resource and catalyst for building more inclusive communities through the arts. The film demonstrates how people with and without disabilities can work together creatively and have deeply meaningful friendships. Advocates, artists, educators, non-profits, service-providers, and families can use the film and screening events to promote new ways of thinking about how the arts can connect people of all abilities. The film is available now on Kanopy, an on-demand streaming service for educational institutions. Students and faculty can preview and view the film here. A New Kind of Listening was a fiscally sponsored project of the Southern Documentary Fund.